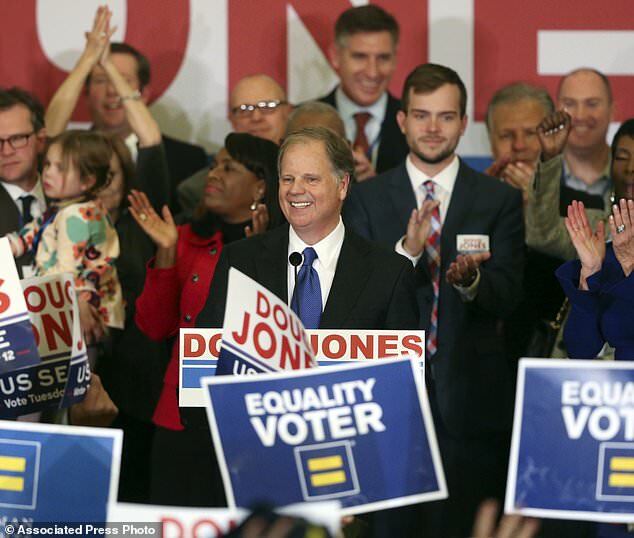 Republican Roy Moore, who lost a U.S. Senate race in a shocker after being accused of child molestation and other forms of sexual misconduct, has filed a lawsuit to try to stop Alabama from certifying Democrat Doug Jones as the winner. The court filing came about 14 hours ahead of Thursday's meeting of a state canvassing board to officially declare Jones the winner of the Dec. 12 special election. 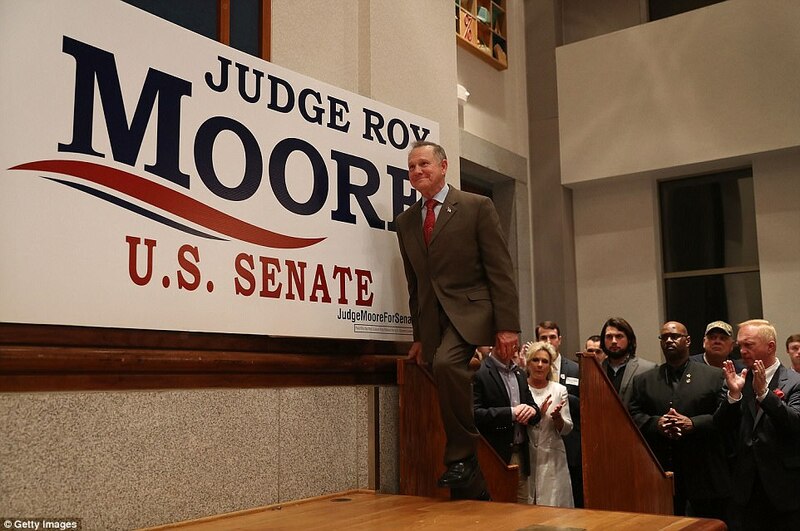 Jones defeated Moore by about 20,000 votes. 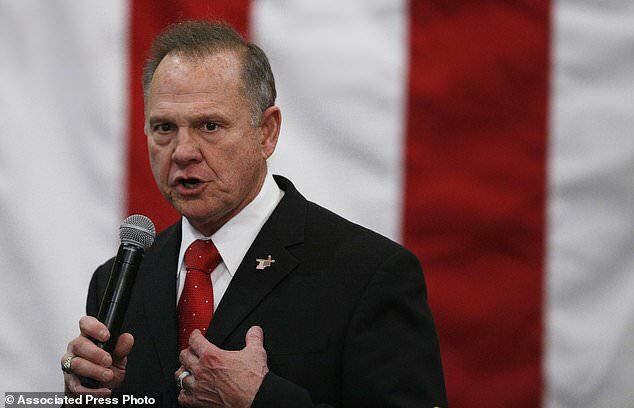 Christian conservative Moore is a former judge whose loss dealt a stinging blow to President Donald Trump – the president had given Moore his full-throated support – and narrowed his party's control of Congress' upper house to 51-49. But Moore's campaign on Wednesday alleged it may have been rigged, meaning he won't ride his now-famous horse Sassy into the sunset without a fight. It cited 'irregularities in 20 precincts' of the state's Jefferson County which it said were 'enough to reverse the outcome of the election,' quoting the views of conspiracy theorist Richard Charnin who claims the 2004 presidential election and 2016 Democratic primary were also rigged. Moore took the lie-detector test after the Dec. 8 election, and steadfastly avoided discussing the allegations before that. He was set to cruise to victory until allegations by several women that he assaulted, molested or pursued them when they were teenagers, including sexually touching one who was 14 years old at the time.Alabama Secretary of State John Merrill told The Associated Press Wednesday evening that he has no intention of delaying the canvassing board meeting. 'It is not going to delay certification and Doug Jones will be certified (Thursday) at 1 p.m. and he will be sworn in by Vice President Pence on the third of January,' Merrill said. In the complaint, Moore's attorneys noted the higher than expected turnout in the race, particularly in Jefferson County, and said that Moore's numbers were suspiciously low in about 20 Jefferson County precincts. Jones and Moore were competing to fill the U.S. Senate seat that previously belonged to Attorney General Jeff Sessions. Moore's campaign was wounded by accusations against Moore of sexual misconduct involving teenage girls decades ago. ROY MOORE, on women who said they had a romantic relationship with him when they were in their teens: 'I do not know any of these women, nor have I ever engaged in sexual misconduct with anyone.' ''Let me state once again: I do not know any of these women, did not date any of these women and have not engaged in any sexual misconduct with anyone.' –comments during campaign stops in Henagar and Theodore, Nov. 27 and 29. THE FACTS: In at least two cases, he knew them before he didn't know them. In a Nov. 10 radio interview with Sean Hannity, Moore said he remembered two of the women, Debbie Wesson Gibson and Gloria Deason, who were 17 and 18 at the time. Altogether, five women have stepped up to say Moore pursued them as teens. Leigh Corfman said Moore touched her sexually when she was 14; he denied that. The age of consent in Alabama is 16. Moore's campaign said he was only denying knowing women who have accused him of sexual assault. But Moore said in a campaign stop he didn't know any of the women featured in his Democratic opponent's ads. Democrat Doug Jones has run ads with the photos of all of the women who have come forward about Moore. One of the women has acknowledged that she wrote part of an entry in her high school yearbook that was initially presented as coming from Moore. But no one has refuted her claim that Moore signed her yearbook with a salutation.